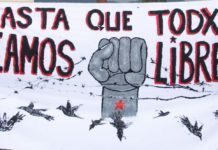 What follows is a call out for June 11th, the international day of solidarity with long term anarchist prisoners. Like last year, IGD will again be collaborating with the June 11th crew. To see what all went on last year, go here. June 11th is an international day of solidarity with Marius Mason and all long-term anarchist prisoners. A spark in the eternal night of state repression. A day set aside for honoring those who have been stolen from us. On this day, we share in songs, events, and actions to celebrate our captured comrades and loved ones. In years past, June 11th celebrations have been international and wide-ranging – from potlucks with friends to various inspiring attacks; fundraising benefits and prisoner letter writing nights to all of the untold and unknown ways we keep the flame alive. Building up to this day, each year several of us come together to discuss and reflect on lessons from years past and to renew this call for continuous solidarity. This year we invite you to explore and ponder with us how maintaining support for long-term prisoners depends directly on sustaining the movements and struggles we all remain part of. How can we expect to continue through decades of support as movements, groups, and people come and go, burn out, and get caught in the exhausting ebbs and flows of struggle? Going deeper, what can we learn from long-term prisoners and their legacies of solidarity? How can we sustain and improve the health of our movements, and in turn strengthen that support? Over the last several years, critiques of incarceration have flourished, often resulting in a myriad of prisoner support efforts and projects. Embodying stability, commitment, and longevity are prisoners from Black liberation, the New Left, indigenous movements, and those who have unceasingly supported them for decades. In addition to these efforts, there has been an upsurge in organizing against mass incarceration itself. Though smaller groups had been pioneering these sentiments for many years prior, it is encouraging to see more people taking up this work. There has also been an extension of efforts to support prison rebels who have been engaging in everything from work strikes to burning and trashing entire units on the inside. At the same time, more and more projects are critiquing the state itself – identifying that it is upheld by the pillars of prisons and police. Finally, there are more efforts aimed at addressing the needs of queer and trans prisoners, criminalized survivors of domestic and sexual abuse, and people living with mental health challenges, just to name a few. In the spirit of June 11th, which invites everyone to participate according to their own desires, personal affinities, and tactical preferences, it encourages us to see such widespread activity. One thing in particular that we have been heartened to see is just how widespread newsletters, blogs, books, and zines written by prisoners have become. After years of discussion about amplifying prisoners’ voices, we are seeing the results and appreciate the countless hours put in by both prisoners and supporters to launch and sustain these publications. Complementing these efforts are those which have furthered international solidarity by translating and transmitting the words of our comrades, and those who have undertaken beautiful gestures and messages of solidarity with bold action and attack. Amongst these many prisoner support projects we see a variety of orientations, tactics, strategies, and practices. Along with the expansion of initiatives has come endless emergencies and urgent calls to action to have prisoners’ backs, on top of all the other constant crises in this nightmare world. With so much to do, we are forced to make choices. Traditional activism, which demands so much of our energy be directed into immediate and often symbolic responses at the expense of long-term intentions and strategies, simply will not do. We need to act with an eye towards sustaining our movements and projects, so that we remain capable of supporting comrades spending decades in prison. This requires a holistic approach to struggle and living in solidarity. One-time gestures are important, and sometimes the best we can do. But what does it mean to be in it for the long haul? While June 11th is only one day, it is a manifestation of the daily strength and fortitude of imprisoned comrades and the tireless, behind-the-scenes work of those who support them. This often looks like visiting; writing; raising money; spreading information; and sharing their artwork, poems, and writings. We are inspired by Jeremy Hammond and Marius Mason’s support crews working consistently to keep them connected to the rest of the world. 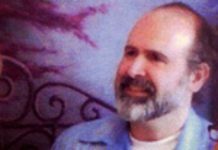 We hearken back to Sacramento Prisoner Support fighting for years to get Eric McDavid free. We are humbled by so many who have helped long-term prisoners like Zolo Azania, Russell Maroon Shoatz, David Gilbert, Sean Swain, Mumia Abu-Jamal, Jalil Muntaqim, Leonard Peltier and so many others publish books written in their cells. Faced with both the long-term prospect of aiding comrades through decades in prison and the short-term work that this solidarity entails, we risk getting lost in alternating currents of despair and mania that leave no space for reflection. It’s difficult to know where to move when faced with the overwhelming task of ameliorating the deprivation and misery our comrades face, while also remaining critical of reformism. We want our comrades free now and all prisons demolished immediately, but we have no idea how to do this. Despite our combined decades of acting in solidarity with anarchist prisoners, we have no blueprint, only visions. 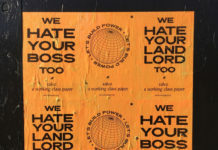 By throwing away divisive dichotomies and their tactical fetishes (mass struggle vs. direct action), we can come to a new metric by which to judge our work: can this sustain me and my comrades through the coming years? It seems unlikely that a vibrant movement of solidarity with prisoners can come to bloom if our concerns are solely ideological, tactical, or strategic. The joy and difficulty of human relationships, the sadness engendered by concrete and razor wire, the struggle against oppressive ideas and behavior and the concurrent need for transformative forms of addressing conflict, the excitement and fear that come with a comrade’s release, and the frustration and exhaustion of doing this work should all become part of how we envision solidarity. It seems to us that by actively engaging in these considerations, we can begin to think beyond the immediate crises: restricted literature, missing letters, stints in solitary, harassment from guards, scrambling for commissary funds, restricted phone calls and visits. By grounding ourselves in relationships with individuals in prison – seeing them not as celebrities, leaders, or abstract “oppressed people”– we open space to dream of what a life shared in common with our imprisoned comrades could mean. With this, we exit the realm of the purely political and enter the realm of the human. One cannot survive on duty and ideology, but human relationships can nourish and sustain us. And we must continuously fight to maintain clear paths to reach our comrades in this way, as the state continues to dehumanize and isolate them, increasingly restricting visits to those behind glass or worse, those on a screen, whether we be a few yards or hundreds of miles away. In-person and contact visits, priceless for building real human connection, are often high on the list of demands from prisoners and those supporting them on the outside. Recently we’ve been inspired by Fight Toxic Prisons’ campaign to keep contact visits in the Florida Department of Corrections. We must strive for lives intertwined with our friends and comrades in prison. And indeed, in many ways, they are. The repression of prisoner support groups by Operation Scripta Manent (the Italian state’s attempt to repress anarchist activities by accusing individuals of carrying out incendiary and explosive attacks) remind us that there is often a thin line separating those who are imprisoned and those who are outside supporting them in whatever way they can. What can these considerations on building sustainable movements, communities, and projects suggest to us when thinking about accompanying our comrades through both pre-trial repression and post-release transitions? Passing on historical and intergenerational knowledge from those who have already survived the worst the state could throw at them would certainly be helpful and inspiring to those currently fighting to remain free. And what would be better for a comrade coming out of prison than a strong community and friends who have already been working and envisioning lives together? Throughout the past year, our imprisoned comrades have faced the cold eyes and violent hands of the state with integrity intact. In Chile, Tamara Sol attempted to escape from prison, was seriously injured in the process, and has since been transferred: first to a maximum security prison in Santiago, and then to the especially brutal Llancahue prison in Valdivia. The “Bombs Case 2” wrapped up, with Juan Flores found guilty of multiple bombings in Santiago and sentenced to 23 years in prison. In Germany, Lisa was sentenced to over 7 years in prison after being found guilty of robbing a bank in Aachen. She was transferred to JVA Willich II in February. In the United States, Walter Bond went on hunger strike for six days, demanding vegan meals, an end to mail tampering, and transfer to New York where he intends to live upon release. In retaliation, he was transferred to the Communications Management Unit in Terre Haute, Indiana. In Greece, Pola Roupa and Nikos Maziotis went on hunger strike for nearly 40 days demanding better conditions and more time for visits, as well as the abolition of the ultra-repressive C-type prison that Nikos has been held in. Dinos Yagtzoglou was arrested and is facing charges related to a letter bomb that injured a former Greek prime minister. His resistance behind bars sparked an uprising at three Greek prisons, securing his demand of transfer to Korydallos prison. 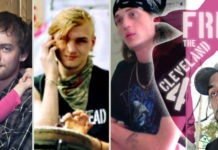 In the United States, trans anarchist and eco/animal liberation prisoner Marius Mason needs more mail! He enjoys getting articles about animal rights, environmental activism, resistance to the alt-right, Black Lives Matter, and other prison struggles. Carswell Federal Medical Center, where Marius has been held for the past several years, is a notoriously restrictive and cruel facility. Currently they are denying him medical care for his transition as promised, as well as adequate vegan food options. June 11th is an idea, not just a day. June 11th is every day. And ideas are bulletproof. Let’s breathe life into the rest of the year and renew the celebration of anarchist prisoners’ lives by carrying on their struggles alongside them. In short: It’s a call-out, so we’re calling on you! June 11th is what you make of it. 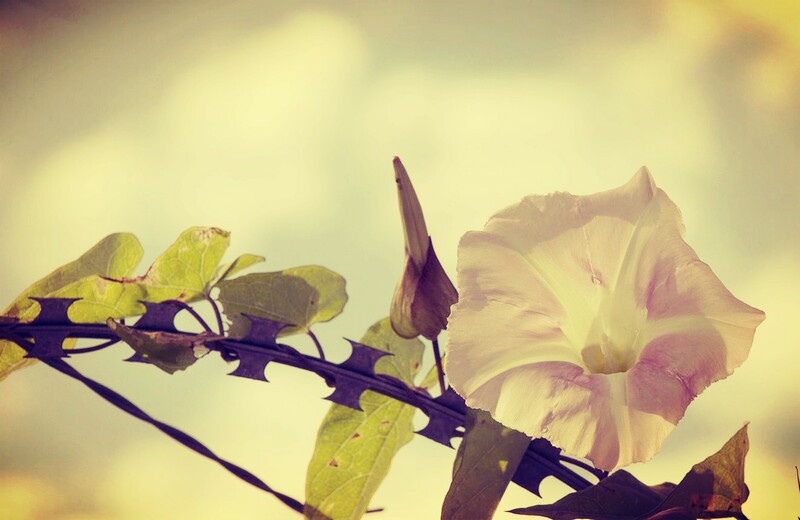 Follow your heart and fill the world with beautiful gestures. There is no action that is too small or too grand.